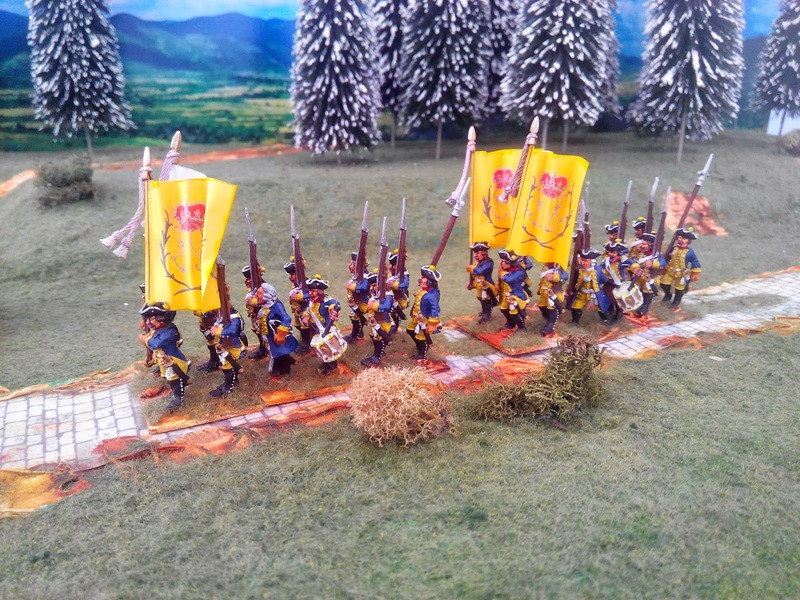 As you know my other blog deals with the Hesse Kassel army in the early part of the SYW. 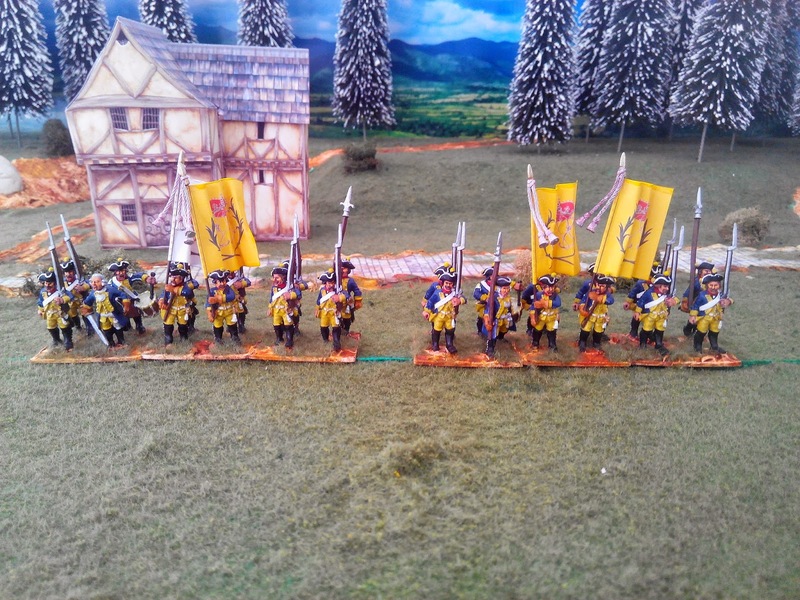 The Hessians on this blog are in their late war manifestation after the organisation changes in 1760. I'll let Kronoskaf explain: "In January 1760, at the death of Wilhelm VIII, the new landgrave Friedrich II changed the organization of the army. Friedrich already was a general in the Prussian service, owned the Prussian Infanterie Regiment Nr. 45 and was a fervent admirer of the Prussian military machine. Therefore, he completely reorganised the Hessian army along the lines of the Prussian one, even changing the uniforms. He raised a new Leibgarde battalion (also known as 1st Garde) and a new Garde du Corps squadron from picked troopers of his army. However, these two new units did not take the field. Furthermore, the 12 existing infantry regiments, each consisting of 950 men in 10 coys (book strength), were increased by 200 men each and reorganised into two smaller battalions. Thus, each infantry regiment now consisted of two battalions. Each of these battalions counted 4 fusilier companies and 1 grenadier company. 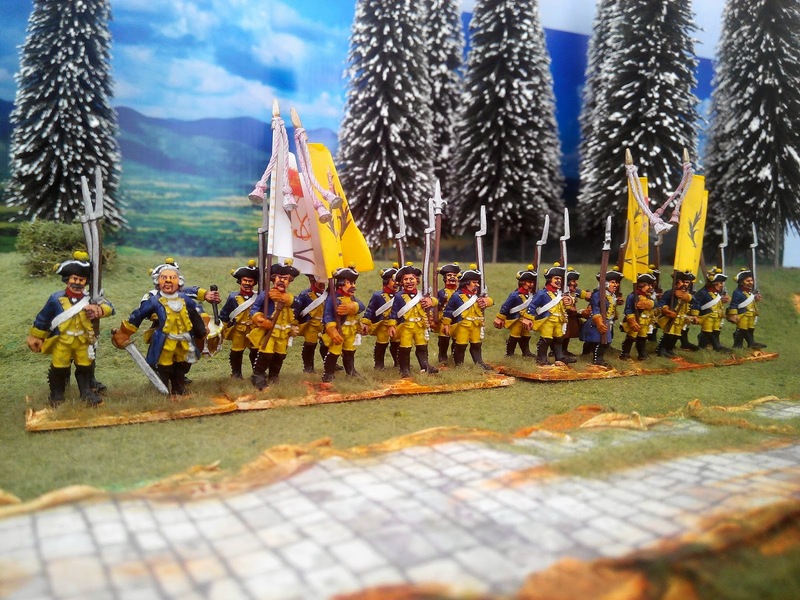 As in the Prussian army, the grenadiers were converged into 6 battalions of 4 companies each. 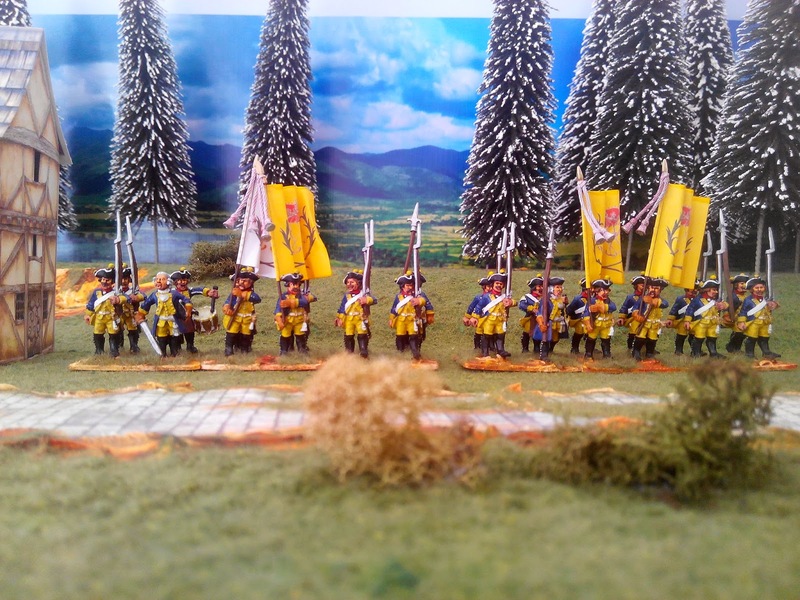 Thus, the Hessian line infantry now counted 30 battalions (12 regiments @ 2 bns each + 6 converged grenadier battalions). Finally, as of June 24 1760, the former Leib-Grenadiers, Leibgarde, and Erbprinz regiments were respectively renamed 2nd, 3rd, and 4th Gardes." Now if you go back to July 5th 2010 on this blog (and earlier) you will see a number of the new two-battalion regiments, some of which have new uniforms and new flags. This regiment however, number 10, appears to be almost the same in the early and late period and perhaps with the same flags so perhaps they had run out of money? 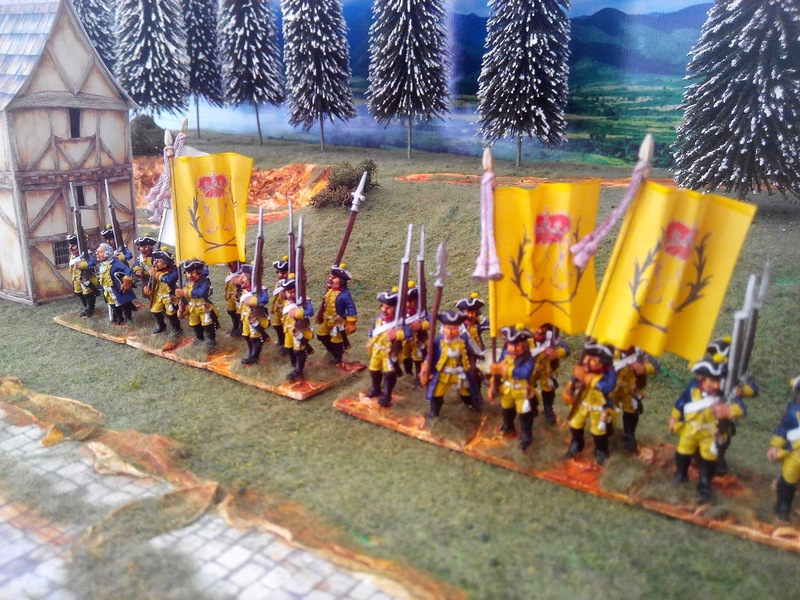 Or they were just so busy being in the midst of a war (Hesse itself was occupied by the French for much of the war) that the flag designers (!!) were otherwise occupied. They do look resplendent, that is for sure.